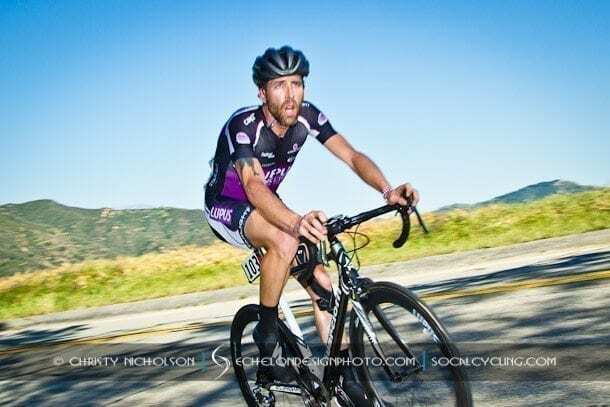 The Lupus Racing Team has named former professional cyclist Phil Cortes as its Sports Director for the 2016 professional cycling season. The team will focus on premier road race events across North America, as well as select UCI-sanctioned stage races. Steve Carpenter will return in 2016 as the Assistant Sports Director, focusing on domestic races. The second-year UCI Continental men’s cycling team will compete under a new logo that will be incorporated in the redesign of all team kits, apparel and support vehicles. “I am excited to lead the team for a full season this year. We have tremendous support from our corporate and industry partners. And we continue to develop an aggressive strategy to support our mission to generate awareness for the proper diagnosis and treatment of the autoimmune disease of lupus,” said Cortes, who lives most of the year in Montreal with his family. With an extensive background in sports marketing, he will also serve as the Strategic Partnership Manager for the Team. Cortes raced for five years as a professional cyclist in North America and Europe. Most recently he served as a sports director for the Garneau-Quebecor Pro Cycling team in Canada (2012) and Team Amore & Vita-Selle SMP in Italy (2013-14). He joined Lupus Racing Team as a consultant in 2015. Managed by Cycle Culture Inc. in Atlanta, the Lupus Racing Team will continue its partnership with the Georgia Chapter of the Lupus Foundation of America. Borrowing the colors of purple and green used to promote awareness for lupus, the new logo was developed with the help of returning team rider, Evan Murphy of New York. “We aimed at giving the team a long-term image that is clean, and distinctive. We are not just athletes working together as a professional cycling team, but we are also ambassadors working together to generate awareness to cure a disease,” said Murphy, who studied at Rhode Island School of Design. The complete redesign of the team gear and apparel will be unveiled at a team presentation event on Feb. 5. Peachtree Bikes in Atlanta will host the event, which will be open for the public to meet riders and management personnel. The roster and race schedule for the Lupus Racing Team will be announced later this month. Team management announced the signing of 31-year-old Slovenian sprinter Jure Kocjan in December. The 13-year veteran won a stage at the Larry H. Miller Tour of Utah and wore the race leader’s jersey for one day. “We are excited about formally introducing the Team to our sponsors and fans in a few weeks. We’ll be aggressive in many ways. It’s the backbone and DNA of what I want our team to be – aggressive, hard working, strategic. Having someone in the breakaway every day is a dream situation, both in terms of race tactics and for sponsor visibility. We will have a lot to talk about this season with Jure as the Team leader and a great mix of U.S. and international riders,” added Cortes.